Have you heard of Dollar Shave Club before? Perhaps you've seen their viral video that came out two years ago (if you haven't, you seriously need to; it's hilarious). I got both my little brother and Duc onto it because it's inexpensive, convenient, and still a decent quality. It's a monthly subscription service that delivers low-cost razors through the mail. Their whole thing is about "shaving time and shaving money" so when they asked me how to do that in the kitchen, I immediately thought of several ways to share with you all. Cooking can be intimidating to a lot of people but there are some tricks of the trade to shorten the time it takes to make your meals. 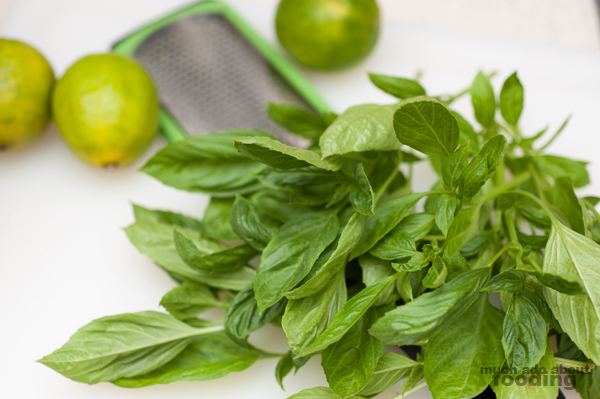 We're all busy and sometimes feel like delicious home cooking can't be made in a jiffy but hey, maybe you'll change your mind after checking out these five ways to shave time and shave money in the kitchen. 1. Do mass prepwork of staple ingredients. 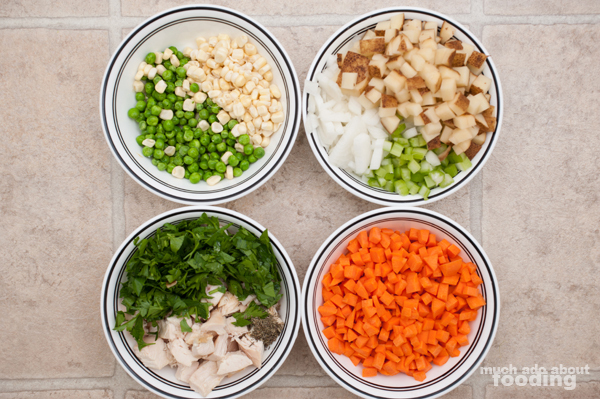 You may have heard the term "mise en place" before by chefs and other people involved in the culinary industry. They are referring to having all of the ingredients they are going to work with prepared and ready to go before they start cooking. You can mimic this strategy too with your own cooking. Choose the ingredients you tend to cook a lot with and have a prep day (a lot of people prefer the weekend) where you chop, dice, peel, and so forth the pieces you need that can be prepared ahead of time. Keep in mind that some vegetables lose their aromatic features quicker than others so use those first. Once you have everything ready, your kitchen counter can be like a buffet line with you picking and choosing whatever you want to use whenever you want to use them. Think of how pro you'll look! You'll also save plenty of money by using up all of your ingredients throughout the week and not buying take-out every meal. 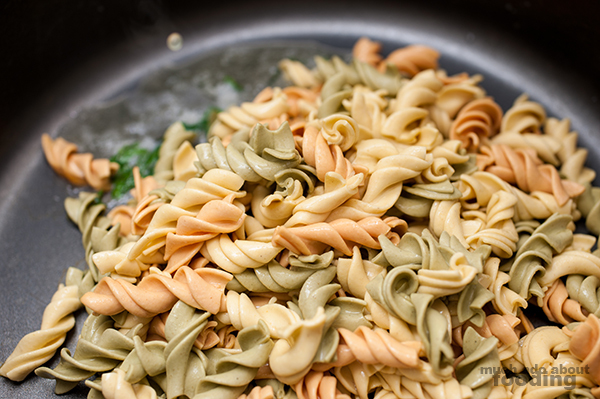 If you must use dry pastas (which many time savers would do), then prep them ahead of time to avoid waiting for them to boil. Did you know that they have a threshold of how much water they can retain? You can fill a large pot with cold water and dump your dry pasta into there to leave in the refrigerator when you go to work. When you come back to the pot, the pasta can be ready to manipulate. They won't puff up or get too soggy since they had been soaking in cold water. Once you warm them up, they'll get to the familiar point you're accustomed to so since you've taken the boiling water phase out of the meal prep, you can easily just toss these with your favorite proteins, vegetables, and sauces! There are several recipes that require you to have your butter soften to room temperature without the help of microwaves or external heating sources. That's because butter's chemical make-up changes depending on how it is manipulated. 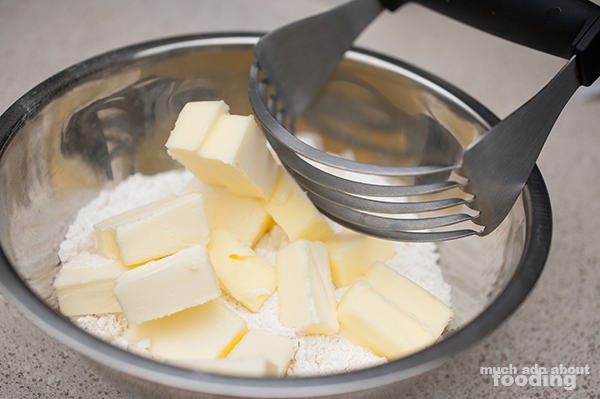 Melting butter will yield a drastically different result in baking than softened butter. However, if you are strapped for time, it's hard to wait until something gets to room temperature. Quicken this process by chopping the butter into smaller pieces. The more exposed surface area there is, the quicker it will soften! 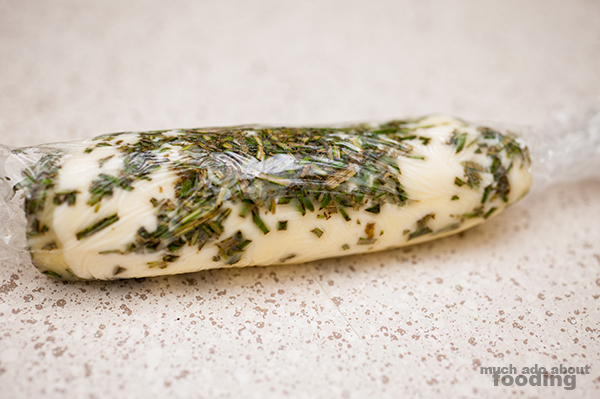 I actually have a whole post up about making herb butter but long story short, plenty of people end up with extra herbs after cooking and tossing those away. Instead, you can preserve them with spare butter you have in the refrigerator. Let's be honest - you likely have unmeasured nobs of butter that are practically scraps. Combine those scraps with your herbaceous scraps for some fanciness in future meals and save money. For example, imagine how tasty a rosemary butter would taste melted all over a fine, juicy steak. You won't even have to make it fresh since you already had a stash on hand. This might seem like a strange tip but it really will save you loads of time. Have you ever made something with cherry tomatoes that you needed to halve...and realized that it takes a very long time to prepare? Who wants to waste time slicing each individual orb of tomatoes/grapes/olives/etc? You also end up wasting your money once all of the juices come out. Shave some time out of your prepwork by placing several of the objects on a plate. 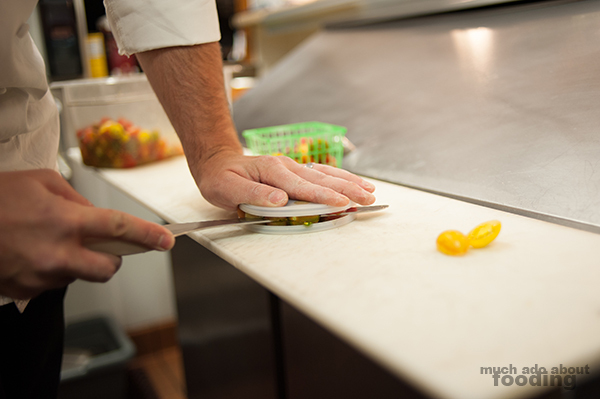 Next, place another plate on top until there is a gap between the two where you can swipe a sharp knife (serrated can help) to split everything swiftly and cleanly! I know you'll be wowed. So there you have, ways to shave time from your cooking and prepwork as well as shave money by using all of your ingredients to their fullest. I hate wasting food myself so it's all about getting creative! Do you have your own tips and tricks for shaving time and money in your kitchen? Photography by Duc Duong and Minerva Thai.